Jan. 30 (NBD) -- The listing of Chinese movie ticketing platform Maoyan Entertainment (Maoyan) is postphoned to February 4, a few days later than its original plan. Tencent-backed Maoyan lowered its initial public offering (IPO) price to 14.8 Hong Kong dollars (1.9 U.S. dollars) per share, at the bottom of its indicative range of 14.8 Hong Kong dollars and 20.4 Hong Kong dollars (2.6 U.S. dollars), Reuters reported. However, the shares it sold last Wednesday, the first subscription day, were worth only 7.5 million Hong Kong dollars (957,495 U.S. dollars), which is far from the IPO target of 270 million Hong Kong dollars (34.5 million U.S. dollars), marking the worst offering debut for a Hong Kong-listed new economy stock since last year. Behind Maoyan's lackluster stock performance is predicament of the online ticketing leader. The growth of Chinese box office shows a slow down trend last year, which could affect the film ticketing market where Maoyan is situated. Although China posted record movie ticket sales of 60.9 billion yuan (9.0 billion U.S. dollars) in 2018, representing a year-over-year rise of 9.06 percent, yet this is the first time for the past three years that the increase went below 10 percent, indicating an end of Chinese box office's rapid surge. Industry insiders even concerned that Chinese box office could come to a standstill like North American market, whose box office has hovered around 10 billion U.S. dollars for years. A research report from Citic Securities predicted that Chinese box office will grow at a compound rate of 7 percent in the coming three years. In addition, the upstream and downstream of the film industry are at a tight corner. Wang Wenhua, executive director at China Insights Consultancy, revealed the entire film and television industry has been regulated in tax payments by tightened tax policies. Currently, a great many TV and film production companies are faced with deficit. How to generate revenue from quality contents in an increasingly supervised market will be a crucial issue for these firms, noted Wang. For cinema chains, the financial pressure continues and a large number of cinemas have failed. 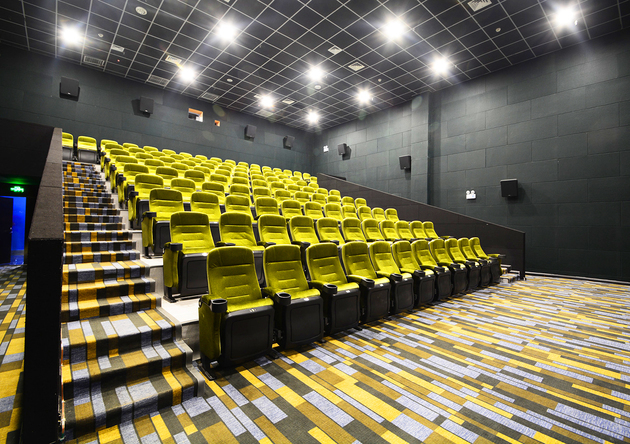 Last year, SMI Holdings Group Ltd announced that about 140 of the 320 cinemas have been temporarily closed as of November 30. Maoyan's data shows as the number of movie screens has exceeded 60,000, the single-screen box office is declining. As the top market player, Maoyan was also challenged by the rival Tao Piao Piao (Taobao Movie) backed by Alibaba Group. During the Spring Festival of 2018, Tao Piao Piao promoted films leveraging all resources of Alibaba Group, even directly sending red packages to users via Taobao app and Alipay app. As a result, the market share of the ticketing platform jumped to nearly 50 percent in the Spring Festival period, which obviously shook the leading position of Maoyan. To scramble for users, Maoyan spent more on subsidy last year, resulting in a loss of 144 million yuan (21.4 million U.S. dollars) for the first nine months of 2018. In an effort to explore new profit models, the two giants attempt to make deployment in the upstream and downstream of the film industrial chain, from film publicity and distribution and movie production to derivatives and cinema sales.